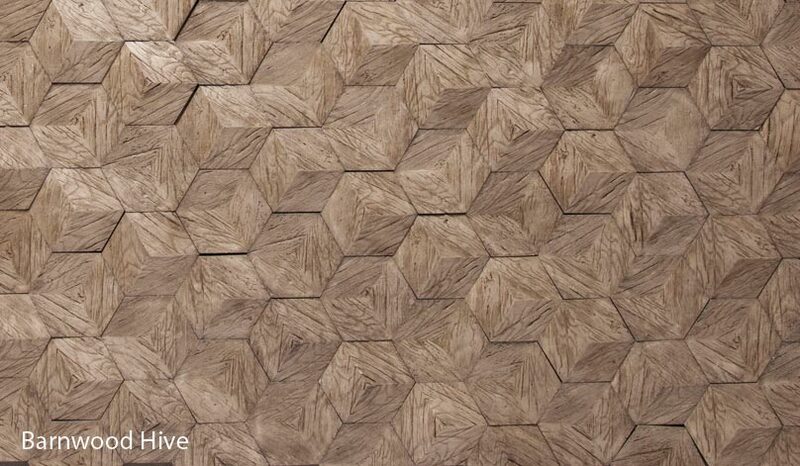 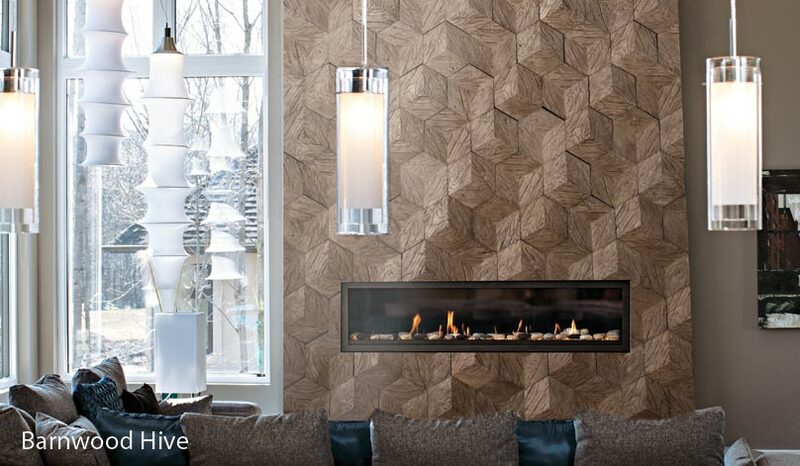 Our Hive™ tiles are patterned in wood, chiseled stone and an etched linear pattern, fitting together to create a visually stunning display of endless geometry. 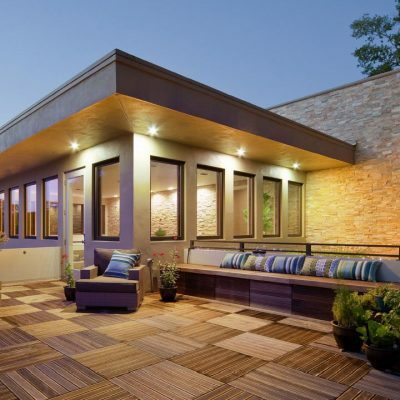 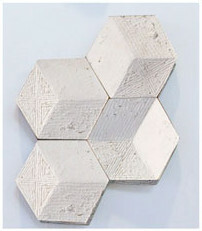 Different overall patterns can be obtained when installing the two tile sets of convex and concave tiles. 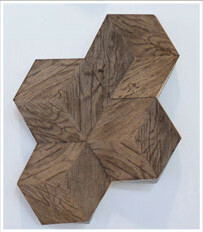 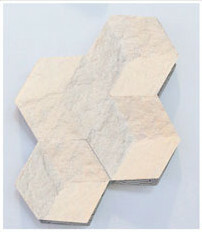 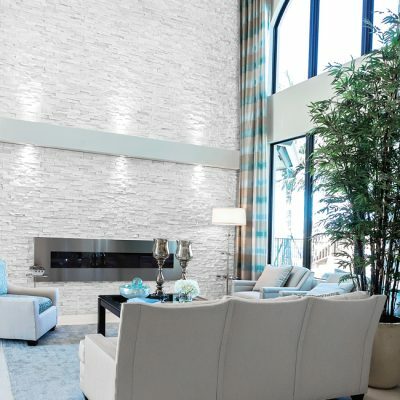 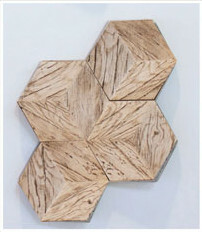 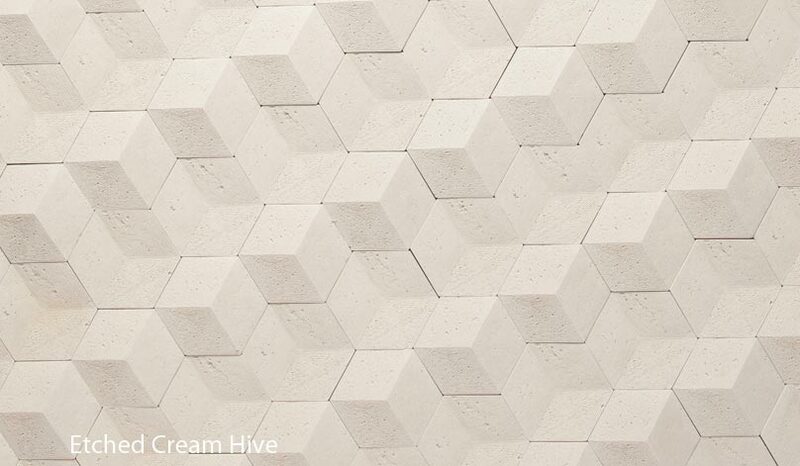 Hive tiles are made of recycled marble and travertine stone, recreating the look of wood and natural stone.